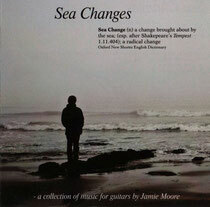 Jamie's latest release is Sea Changes, a collection of music for guitars. 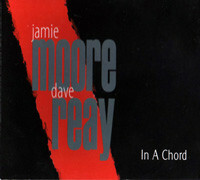 In a Chord is Jamie Moore on acoustic & electric guitars and vocals with Dave Reay on acoustic and electric guitars. Minor Monday. Jazz, latin and classical music influences combine to create an original sound that captures the imagination and appeals to music lovers everywhere. 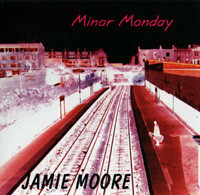 "Jamie Moore's Minor Monday album takes the listener on a curious journey. It's hard to pin down this Canadian's style with one sweeping gesture, his music blurring genre lines between jazz, pop, blues, country and folk." 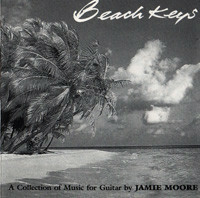 Beach Keys is a collection of ten guitar pieces, all written and perfomed by Jamie Moore. Each one started life from sketches made on or near water.